In first-time director Reinaldo Marcus Green’s upcoming drama Monsters and Men, three men are unsure about what to do in the face of police brutality in their Brooklyn neighborhood. John David Washington plays a cop who hears both sides of the argument; Anthony Ramos takes a video of a cop shooting his friend and is unsure if he should publish it online in fear of police retaliation; and Kelvin Harrison Jr. is a high school athlete who could damage his chances at getting a full scholarship if he becomes involved in activism. 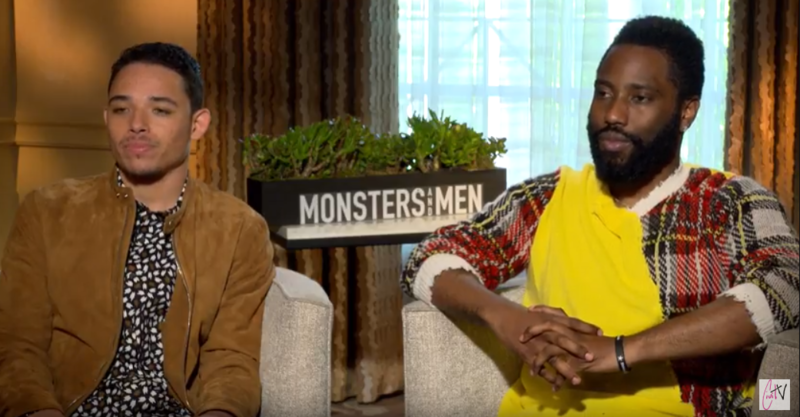 We recently had the chance to talk with John David Washington and Anthony Ramos about their upcoming roles on the drama film, Monsters and Men. Check out our Civil Interview with both Monsters and Men co-stars below and catch the film when it hits theaters on September 28th!